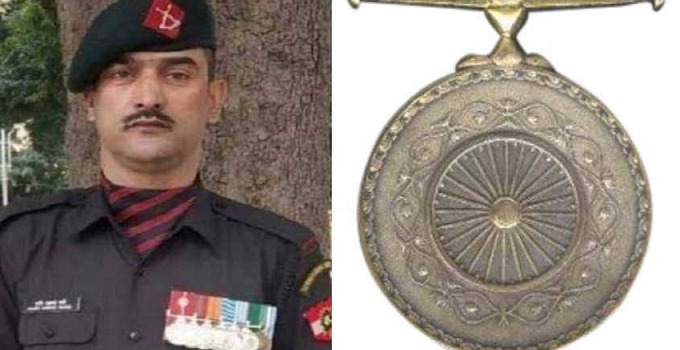 Lance Naik Nazir Ahmad Wani, a militant-turned-soldier who laid down his life fighting a group of terrorists in Shopian in Kashmir in November, was awarded the Ashoka Chakra by President Ram Nath Kovind 26th january 2019. The award -- India’s highest peacetime gallantry honour -- was received by Wani’s wife and mother at the Republic Day celebrations at Rajpath. 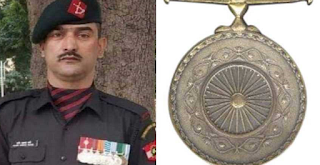 Wani is the first Kashmiri to be conferred the Ashoka Chakra. On November 25, 38-year-old Wani, hailing from Cheki Ashmuji in Kulgam district of Jammu and Kashmir, lost his life in a counter-terror operation against six terrorists in Hirapur village near Batgund in Shopian. 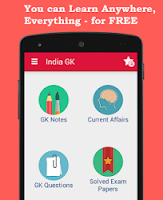 President Ram Nath Kovind has approved awards of 411 Gallantry and other Defence decorations to Armed Forces personnel and others on the eve of the 70th Republic Day Celebrations.The awards include one Ashoka Chakra, 4 Kirti Chakras, 11 Shaurya Chakras, 28 Param Vishisht Seva Medals, 3 Uttam Yudh Seva Medals, 51 Ati Vishisht Seva Medals, one Bar to Yudh Seva Medal, 9 Yudh Seva Medals, two Bar to Vishisht Seva Medals. Besides, 120 Vishisht Seva Medals and six Bar to Sena Medals, 103 Sena Medals, 7 Nao Sena Medals , 2 Vayu Sena Medals, 5 Bar to Sena Medals, 35 Sena Medals, 9 Nao Sena Medals and 14 Vayu Sena Medals also included in the list.